Will this single tote bag attach to a three-ball bag, with metal telescoping handle? Hi Gus. This single tote is not designed to attach to a three ball bag. You can always try attaching it to one, but we are not sure how well it would stay in place. 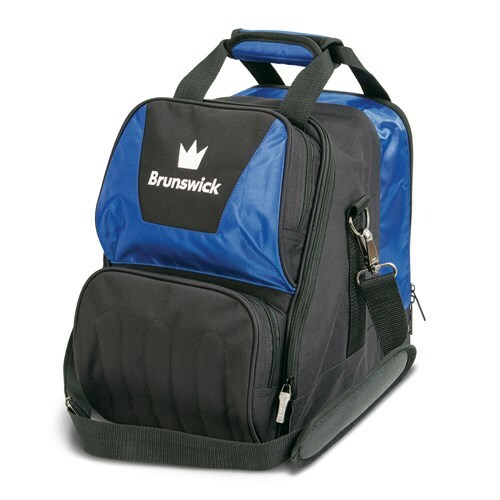 Due to the time it takes to produce the Brunswick Crown Single Tote Royal ball it will ship in immediately. We cannot ship this ball outside the United States.